Learn to understand English speakers with a lesson about psychology and Influence, a book by Robert Cialdini! 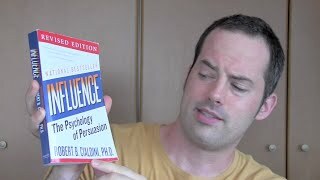 In the fourth video in this series, I help you understand English speakers by talking about an interesting book by Robert Cialdini called Influence: The Psychology of Persuasion. In it, Cialdini recounts a story about how toy companies get parents to buy toys during the low buying months of January and February even after having spent lots of money on gifts during the end of the year holiday season. It’s really a fascinating story, with a lesson very applicable to language learners that will help you understand English speakers. Hello, and welcome to a new advanced listening practice lesson. It’s a pleasure to see you again, if you’ve been following these, uh, these new videos in this new series. Now, just as a, again, I always want to have this brief introduction at the beginning of all these in case we have new people, cause we have lots of new subscribers coming in all the time. In this video series I talk, uh, at an extra fast speed. even though I do give, uh, some kind of slower sections where I want to make sure everything is clear, and maybe I’ll explain a thing or two, like a new word or phrase. to help you understand things and make sure you can learn lots of new phrases easily. I recommend you go back and get used to my voice at this speed. So watch all the previous videos. uh, and that will get you used to my voice. and you can really start to understand more. uh, click on the link that you can see in your screen right now, and you can learn more about Master English Conversation. they really want to express themselves. 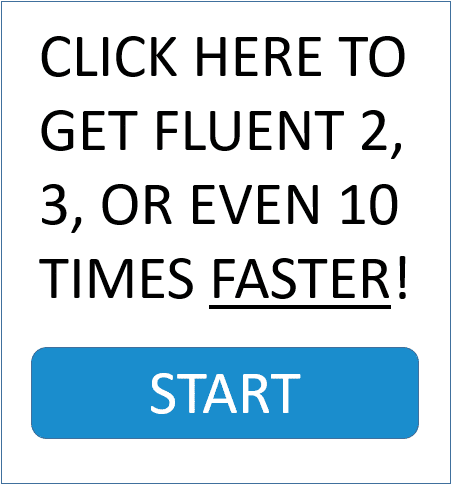 up to fluency, nice and easy, and simple steps. So if you’d like to learn more about that in that program, click on the link in your screen now. Well, let’s get into the lesson. All right, so today I want to talk about something really fast and interesting. since in the last episode I was talking about a book. If you haven’t seen that one, I highly recommend you go back and watch that one. Uh, so I was talking about a book that I found, uh, after many, many years. It’s a really fun, uh, book. you know, have the chance to reveal that and show that to people. Uh, so since that one was about a book, I thought this one would be about a book as well. But, unfortunately, there are no pictures, this is not a book for kids. This is book, a book I was just reading. and I, I just thought this was something, you know, worth talking about as well. as opposed to trying to learn specific words or phrases in an English lesson. so you can get used to that. But, you know, again, try to find things you’re interested in and study those things, but in English. Anyway, this book, let me going to grab it right here. Uh, I’m always, uh, been interested in philosophy and psychology. This is a really great advanced word. It’s kind of hard to see here. kind of a, a brief talk about something that I discovered in the book which I thought was really, really interesting, fascinating, even. this means to try to change their mind or to get them to do something. And this is what we do every day. we’re all selling in some way. We’re trying to influence the behavior of other people. experiments, uh, and I really liked learning about those in college, so I continue to learn about them now. So the author is Robert Cialdini, and hopefully I’m, uh, pronouncing that properly. Again, I can’t pronounce everything well, but I try. Anyway, uh, it’s just an interesting book about the different ways that we persuade each other using the principles of human psychology. say yes to one thing so you can continue to do that thing. uh, inside your mind you’re feeling a little bit bad about that. So when you’re trying to convince someone to do something, you’re using those, uh, the mechanics of the mind. and if you can do that then you can persuade them to do something. Anyway, so this is just one out of many, many examples, uh, and things, you know, whoo. It’s getting a little hot over here, if you can tell. recording this for you, because I love you so much. he’s talking about how, uh, how toy companies sell toys after the Christmas season ends. And one of the things that he was talking about was how we can convince people to continue buying toys. So what do the toy companies do to get people to continue buying toys after the toy season has ended? So their kids are trying to persuade them to get them a certain toy. So, as an example, maybe I’m 10 years old and I’m asking my parents for a new video game system. and it’s maybe around, uh, October or November, and I’m asking them, can I please get that? Uh, and then if I can get that for Christmas then I’m really happy. And if I’m not, then I’m going to be really sad about that. is you try to convince them, you know, mommy, I’ll love you so much if you buy this for me. And, again, you’re trying to convince, you’re trying to persuade that person to do something, so you’re trying to persuade your parents. lots of interesting, uh, new perspectives on things, learn a lot about new, interesting things. he was talking about how toy companies get people to continue buying toys even after the Christmas season ends. And here’s how they do that. By using, uh, consistency and commitment, this principle of the human mind. because people feel bad about breaking that, because it’s a social contract. uh, and if you’re known as a person that breaks promises, then people don’t want to have good relationships with you. So here’s what they do. uh, my, it was, uh, an Elmo doll, like the Sesame Street, uh, Elmo doll. I think, push a button on it, and it would go ha, ha, ha, ha, ha, ha, and, and move like that, and it was really, really popular. so there were not enough Tickle Me Elmo dolls to meet all of the children, all the parents, the people trying to buy them. and they also know that parents have made a promise to their kids to get them that thing. and the parent says, okay, yes, I’ll get you the do, I’ll get you the doll. they’re going and looking at all these stores, but they’re not able to find it. So, again, there’s a lot of people that want it, but there’s just not enough supply for all those people. But what the toy companies are doing is they’re intentionally reducing the supply of these toys that people really want. but if they did that then everybody would buy that doll for Christmas and they wouldn’t buy anything after Christmas. Black Friday, this is the day after Thanksgiving where a lot of the Christmas season shopping starts. the Tickle Me Elmo doll, you buy that thing, then you have it, you can give that to your child. and then you give them that, uh, you know, give them that Tickle Me Elmo doll. if you can’t find one of these, then maybe you look for some other toys that are kind of of equal value, uh, to that toy. keeping the, uh, the number of toys down, so what they do after the Christmas season ends, is they start showing commercials for that same product again. you know, the kids, they start seeing the commercials for it in January, in February. this is the toy that my, you know, my, my mom promised she would get me. And then they tell their parents, hey, you made a commitment to buy me this thing. but, uh, it’s not exactly what they wanted. But the problem was that they made a commitment, and the toy companies are taking advantage of that. in, uh, January and February, to go back and buy these Tickle Me Elmo dolls, or, you know, whatever the popular toy is. So the toy company was able to make twice the amount of money they could’ve made, just by using this principle. So most kids, you know, they don’t say, well, it’s okay, you got me something of equal value. They say, no, I want the toy that I really wanted. they’re using that and then getting their parents to finally buy that thing for them. is because he fell for that a couple of times. he, you know, failed to find the present that his son was asking for, or his daughter, I forget which one it is actually. I’m kind of bad with remembering details like that. the commitment and consistency part of it. But, anyway, so, you know, he had fallen for this, you know. and this is to fall for something. and then after the, uh, the New Year begins, the commercials come back and then he has to go buy that new thing. So he just spent twice the money to satisfy his, uh, child’s need. and he hadn’t seen that other person since the previous year. uh, and they were talking about that. uh, and who explained to him how it actually works, and why they do it the way they do it. Uh, but I just thought it was a really interesting story, and maybe something you might find interesting as well. Well, that’s it for, uh, this lesson. I just thought it would be fun to come on and tell you about that. 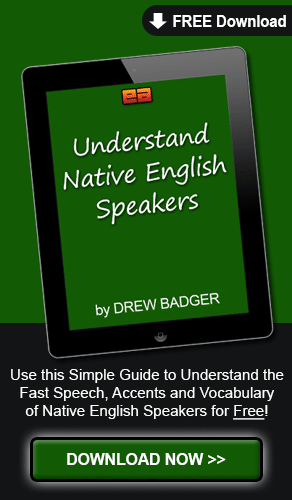 because it’s in English you get lots of great listening practice, and you get to listen to that. Uh, especially me when I’m speaking in a faster voice, uh. click on the link in your screen, and you’ll learn more about Master English Conversation. uh, under this video in the description. Well, I’m getting, uh, crazy hot over here. I got so much sweat on my face. and it’s just, it’s crazy. I don’t, and, I, I, I mean, I don’t know how people do it in Japan. I think I need to, you know, even with, with the air conditioning on, it’s still crazy hot out here. But, that’s enough of my problems. uh, and I will put this up so you can enjoy it. And I look forward to seeing you in the next episode. and then we’ll keep the party going. Have a fantastic day, and I’ll see you there.